Beach on the Sète sand barrier in Marseillan, France. On the Mediterranean Sea, the barrier island in Sète forms a broad 12km long band connecting the city to the nearby commune of Marseillan. 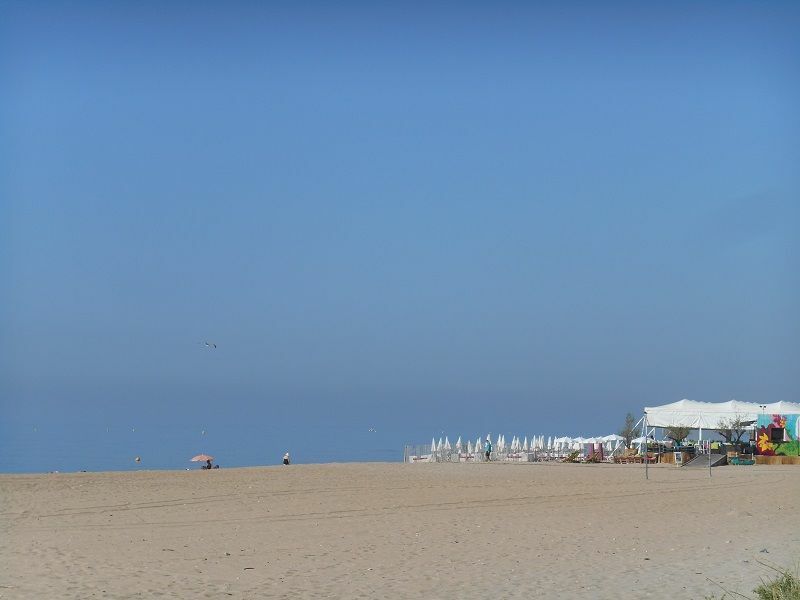 Some locals have already set up their sunbeds in the morning, while the boardwalk is full of joggers and cyclists enjoying temperatures that are still bearable on a June morning. 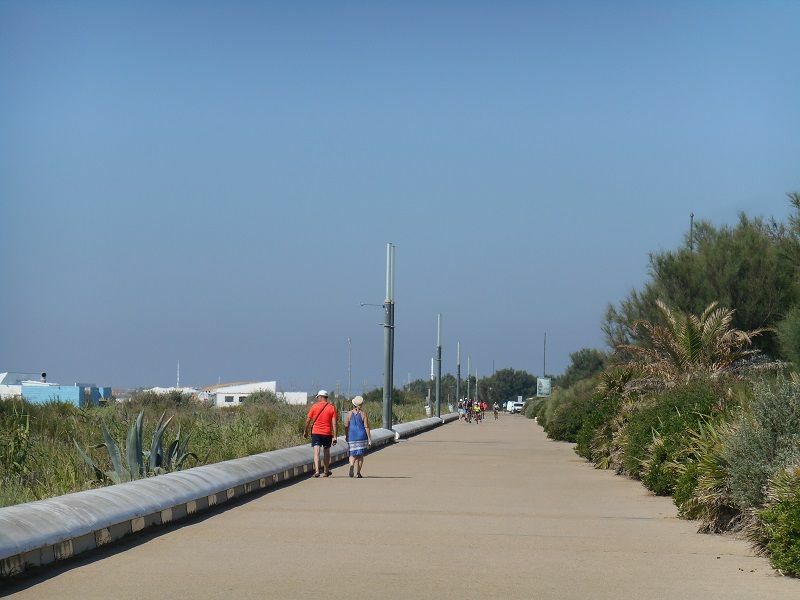 A greenway has been built along the beach. Following five years of work and more than €55 million, the road was moved back about a hundred meters from the beach to tackle the erosion which affects the strip of sand. 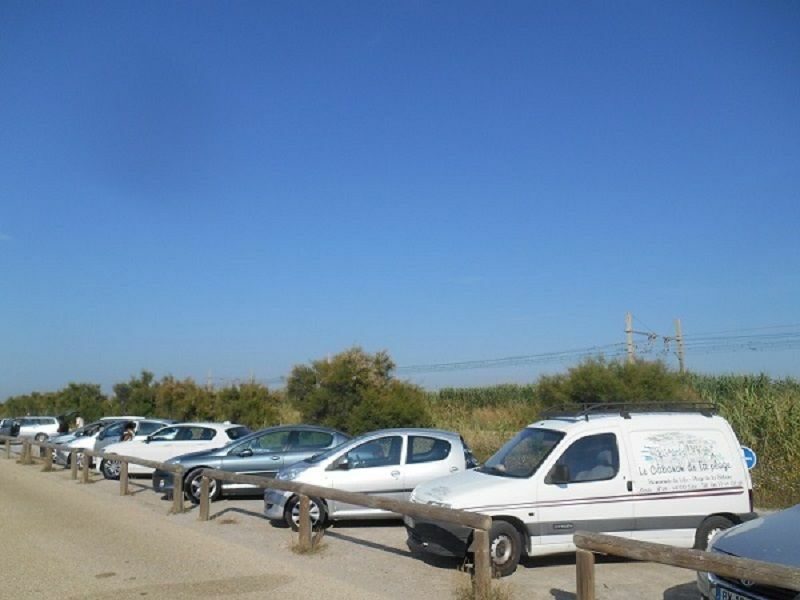 “The beach retreats by a metre every year,” said Yvon Iziquel, head of the environment department for the Bassin de Thau intermunicipal authority to which Sète belongs. The beach’s dune system was rearranged and now replaces the road. The dunes separate the beach from the promenade with rocks and vegetation which is supposed to maintain the sand. Roundabouts, parking lots and parking spaces have streamlined the traffic and prevent unauthorised (which was common in the past). Furthermore, a dedicated bus lane has been added along with the promenade and bike path, to encourage sustainable development and tourism. Parking spaces were added to prevent illegal parking. “There was almost no beach left,” said Fahrid a local. “It’s much better now but everything will need doing again in twenty years’ time”. Despite the redevelopment, erosion on the site continues and pressures surrounding businesses, especially beach cafes located directly on the beach. “I had to change sites because of the risk of submersion,” said the manager of one of the beach cafes. The second phase of works, which is still ongoing, is testing two other techniques to prevent erosion: sand reloading and breakwaters. The second technique, which proves to be more efficient, should be extended. The beach cafes are also affected by the issue of coastal erosion. Across the Mediterranean, rising sea levels and global warming threaten economic activities and residential areas. 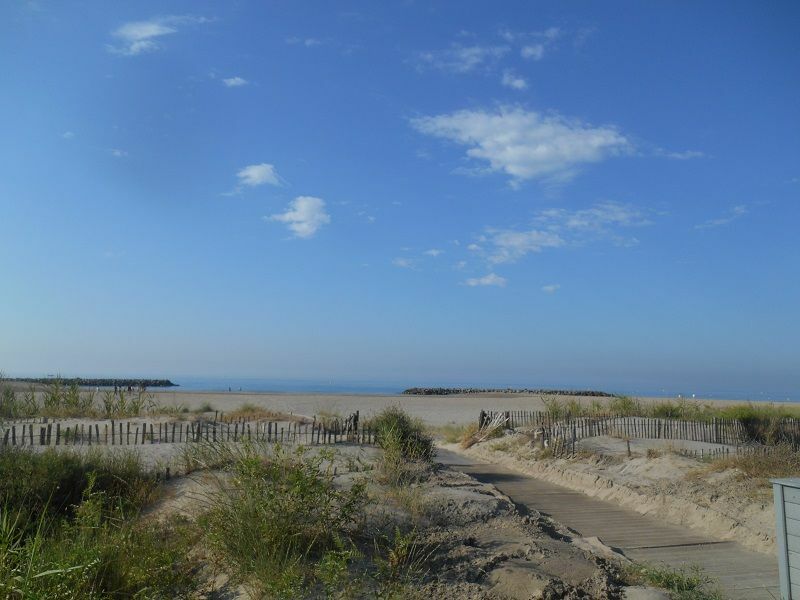 A fact which is largely reflected in the allocation of funds by the ERDF, which financed 35% of the budget for the renovation of the Sète barrier island. 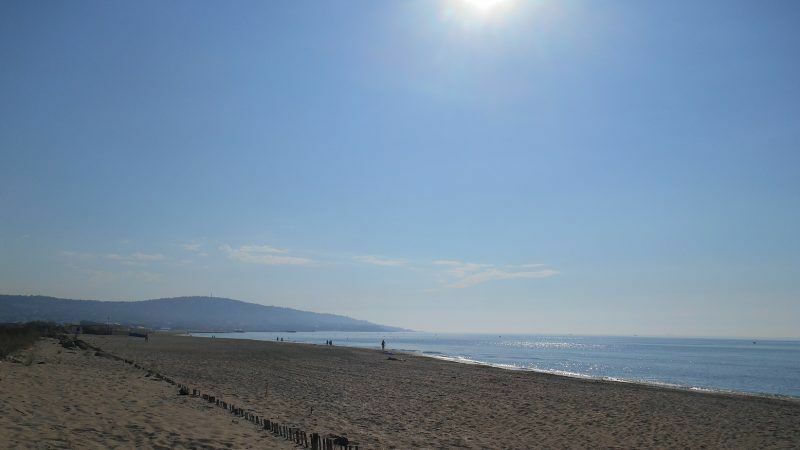 The ERDF has funded several projects to tackle coastal erosion in the Occitanie region, starting with the sand barrier in Frontignan, next to Sète. Furthermore, the fund also supports initiatives for water and waste management and safeguarding protected sites. Funding is granted either directly or within the framework of the Interreg MED programme which contributes to cooperation initiatives between various bodies on the northern shores of the Mediterranean. The ERDF has provided €224 million to the programme’s total budget of €265 million for the 2014-2020 period, with 13 European countries participating. The projects funded target the key issues in the area such as sustainable tourism. “We are currently taking part in the Heri Data project,” said Laure Lhermet, in charge of territorial cooperation in the Occitanie region. “The aim will be to collect data on tourist flows in the region to define cleaner flow management models. Actors from the academic and research world and associations from Greece, Croatia, Italy, Spain, Portugal, France, and Bosnia-Herzegovina are involved. “A wide variety of projects are supported,” said Agnès Rampal, advisor for the PACA region (Provence-Alpes-Cotes d’Azur). “They concern, for example, the support and promotion of urban agriculture, energy efficiency, the development of co-working spaces or the improvement of shipping routes with Sardinia”. The programme seems to be more turned towards an integrated management of the Mediterranean within the framework of its 4th pillar “Governance”. One of the projects within this pillar, called Panoramed, is like a Mediterranean forum. It aims to put in place common policies and projects, based on the feedback from past projects of the Intereg MED programme, particularly in the areas of coastal tourism and maritime surveillance. “The projects will be based on a platform and will include coastal tourism and maritime surveillance”, said Agnès Rampal. It will make it possible to retain the best of previous projects and use the conclusions to make new calls for projects”. With a budget of €9 million, 12 member states and 19 partners are involved in this platform.